NBC 6's Sheli Muniz was on board a flight complete with thousands of toys for those on the island looking to have a normal holiday while recovering from Hurricane Maria. As the holidays approach, NBC 6 and Telemundo 51 is spreading some holiday cheer by sending thousands of toys to children across the island. Toys weren’t the only thing delivered on this trip – so were cards written by South Florida students to those living on the island. It’s been three months since Hurricane Maria struck, devastating the island of Puerto Rico as residents there continue the long road toward returning to some sense of normalcy. 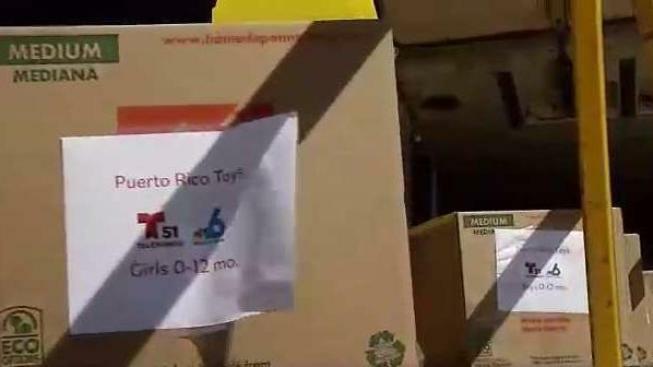 As the holidays approach, NBC 6 and Telemundo 51 is spreading some holiday cheer by sending thousands of toys to children across the island with the help from local organizations and our sister station in San Juan. “When you see the face of a kid with a present in their hands, they know that Santa is not forgetting us,” said Sonja England from Telemundo Puerto Rico. Since Maria hit in September, NBC 6 has made several trips to the island. This time, we took off on a Spirit Airlines flight with boxes in tow. Hours later, toys divided by gender and ages were on their way - and soon in the hands of children. NBC 6's Sheli Muniz tells us the story of a Broward County child who was inspired to let those in Puerto Rico recovering from the storm that they are being thought about. 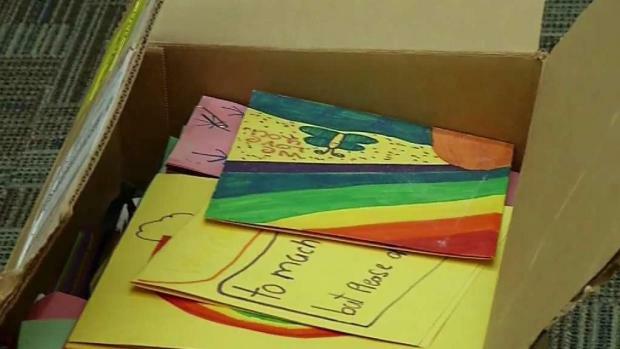 Toys weren’t the only thing delivered on this trip – thousands of cards written by South Florida students to those living on the island to let them know they aren’t forgotten. The idea for the cards was spearheaded by one student in particular, 10-year-old Juan Michael Garcia, and inspired by one elderly man who Juan’s mom met soon after Maria hit. Juan wanted to write holiday cards for them - despite not being able to write himself as he suffers from autism. His idea caught on quickly across the county. “Before we knew, it just started rolling and rolling and we had over 36 schools in the district that wrote these awesome inspiring letters,” said Broward County Schools ESOL Director Vicky Saldala. “I like it that people are liking my idea from making these cards to make people happy,” said Garcia. Nearly 4000 letters later - headed up by one boy and inspired by one man. Unfortunately, that man named Don Gregorio will never see his card as he passed away last week. “For somebody, maybe it’s a piece of paper - but for somebody else, it’s going to be something that means something,” said Valcarcel. Hurricane Maria is long gone, but people here on the island still feel her wrath every single day from the strongest storm to hit there in nearly a century. Christmas just won’t be the same on the island as many families will spend it in the dark - some in makeshift homes and others in shelters. “It’s important that the people know that it is something that will pass in some time and now we want to bring happiness to all these families in Puerto Rico - who lost a lot of things, but not the happiness of Christmas,” said England.